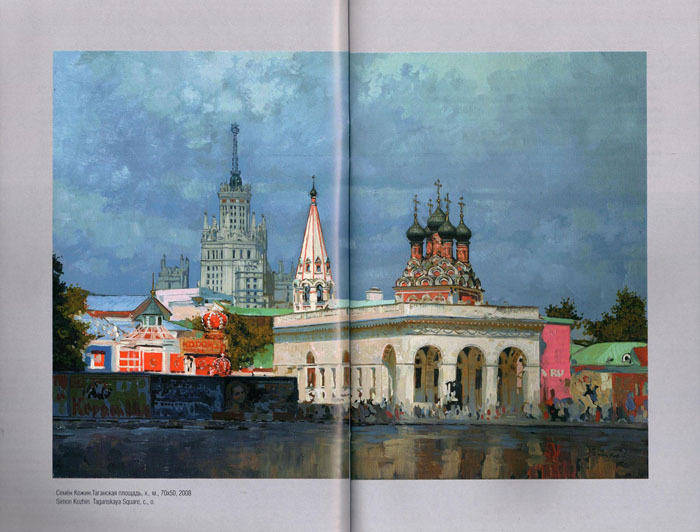 Moscow Hospitality.Catalogue of the Art Exposition with Vernissage. 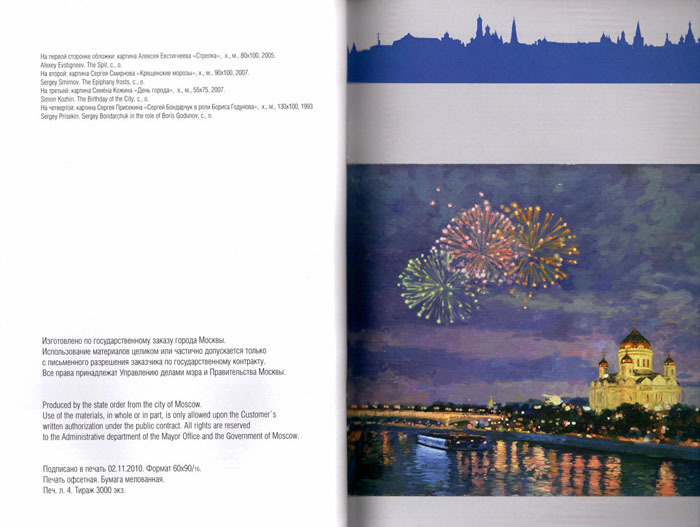 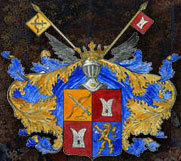 Produced by the state order from the city of Moscow. 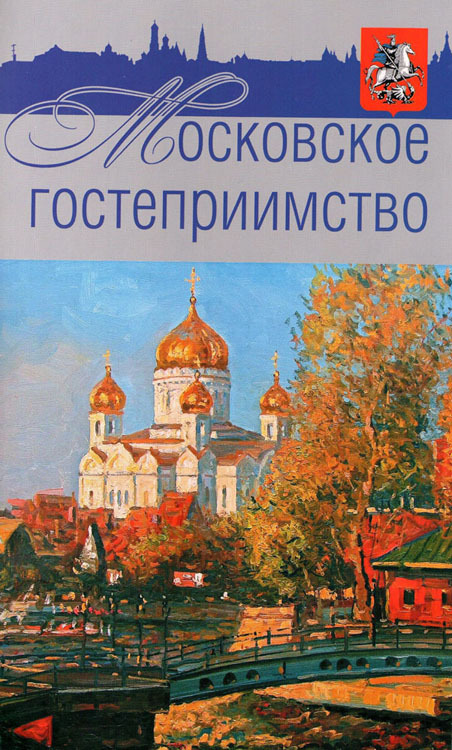 Producer Centre of Serguey Markov 2010. 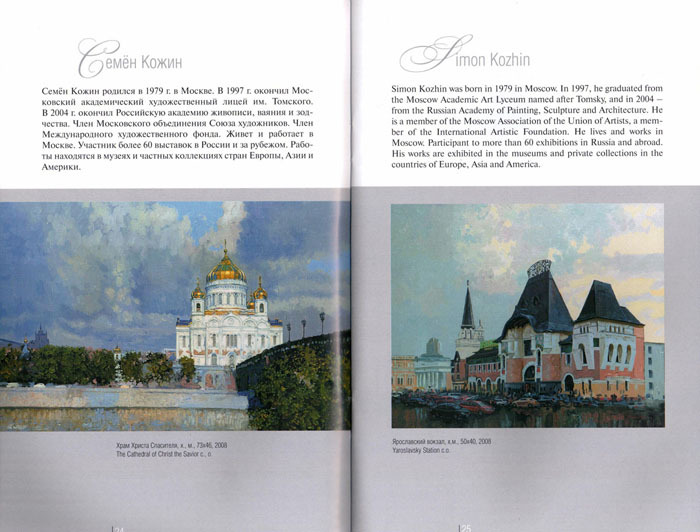 The catalog includes four works by the artist Simon Kozhin.